Get ready to sweat! This is a powerful flowing Vinyasa class. No two classes are alike. Learn arm balances and deep backbends. Vinyasa/Flow yoga experience is recommended. Classroom temperature is warm (between 82-87 degrees). 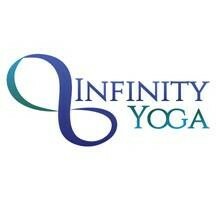 There are no upcoming “Advanced Infinity Flow” classes on this day. Please bring a mat, towel and water to class. Please use the large parking lot behind the building on Peachtree Road. To enter, use the driveway in between their building and Imperial Fez, just South of their storefront. You are more than welcome to use any of the striped surface lot or the wood chipped parking behind the barn! Great sequencing, great music, time flew by. I usually prefer more heat but there was a group of ladies who asked for no heats temp 80. Jeff is consistently awesome. He has his own unique style of teaching that feels both knowledgeable and authentic. I love his classes. Jeff is the best! This is a challenging class but very approachable. Jeff is the best. He's so friendly and knowledgeable, and he really makes you feel welcome in his classes. Awesome teacher! I love his class!! Amazing class. Will be back!